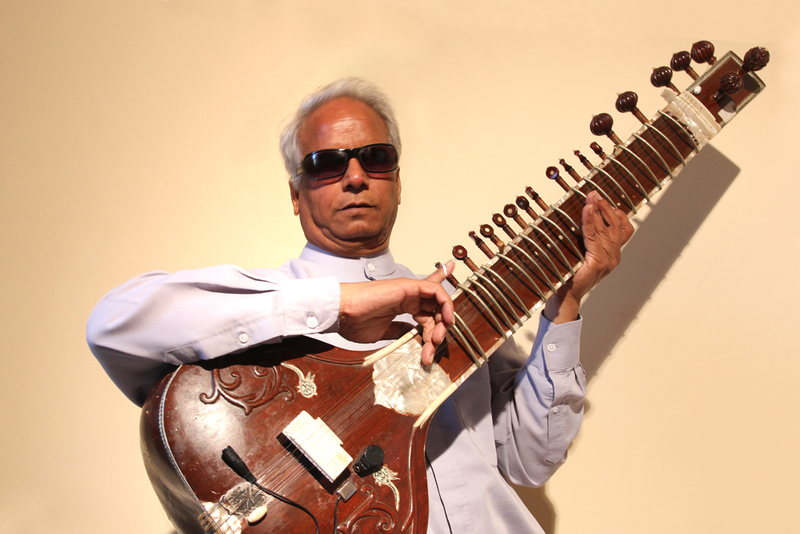 Baluji Shrivastav is an incredible instrumentalist, certainly one of India’s finest. 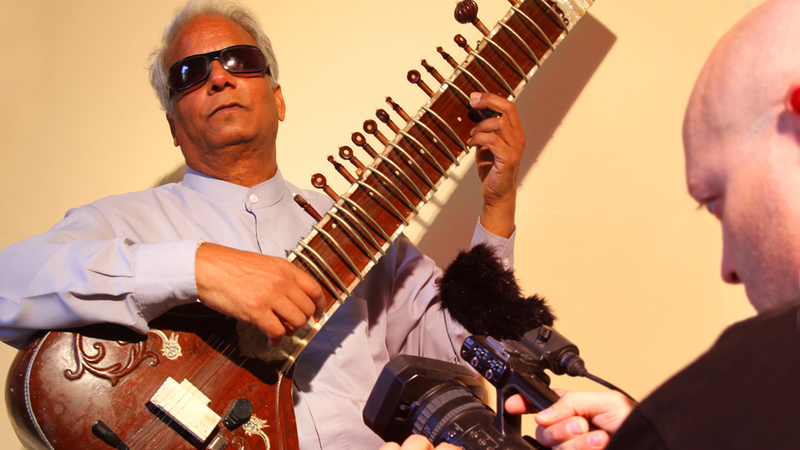 London’s Evening Standard called him “sitarist to the stars” as he’s recorded with acts like Massive Attack, Madness, Doves and played alongside Stevie Wonder, Chris Martin from Coldplay and jazz saxophonist Andy Shepherd. He also composes for film, dance, theatre and original works for Western orchestras and Indian ensembles and has released several albums with his own group Jazz-Orient. 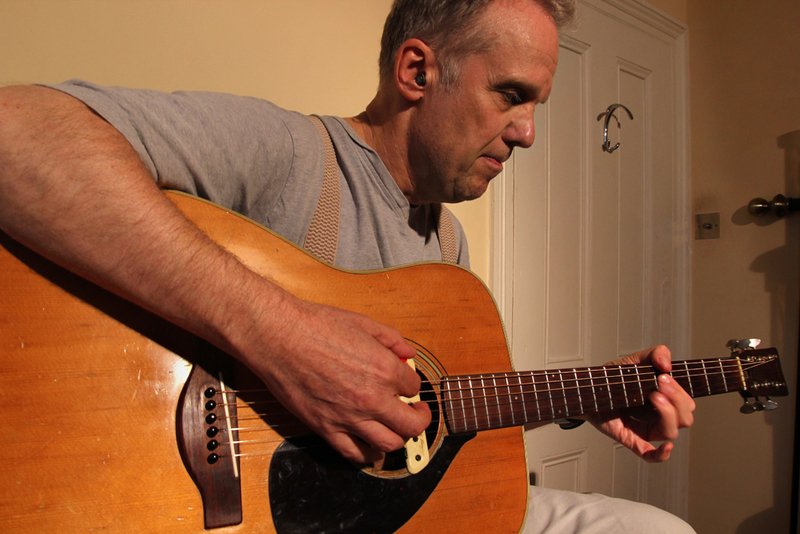 Next was Rikki Jodelko, who’s been playing guitar since he was a kid. He’s a member of the award-winning creative arts company Heart ‘n’ Soul, who work with people with disabilities, and Rikki’s performed internationally with them, including the far east. He’s also in soul/funk band Metropolis, touring and playing in venues like London’s Ronnie Scott’s jazz club. Speaking several languages, he also presents his own web show on Aculco Radio, jamming with guests and interviewing in Spanish! 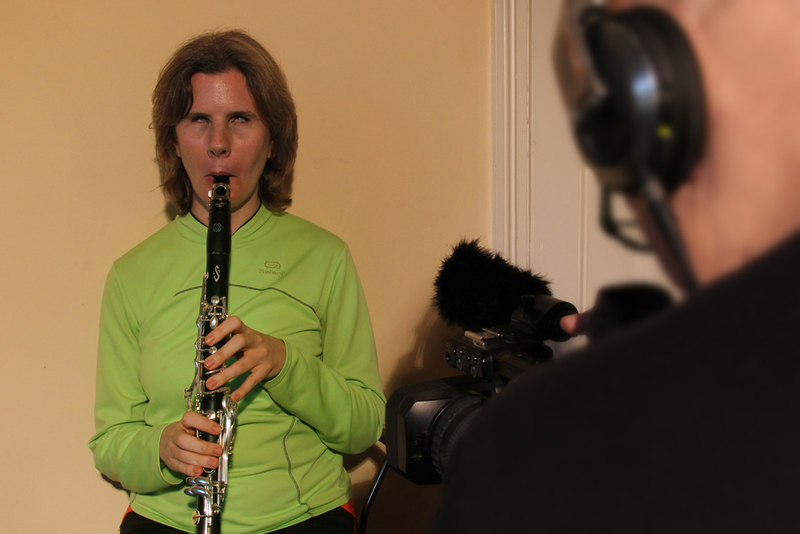 On clarinet was Abi Baker, a graduate of the Royal College of Music whose preferred weapon of choice is actually piano. In 2007 Abbi won the Muzio Clementi Award, the international piano competition, for her work in the area of keyboard instruments, as she also plays harpsichord and clavichord! 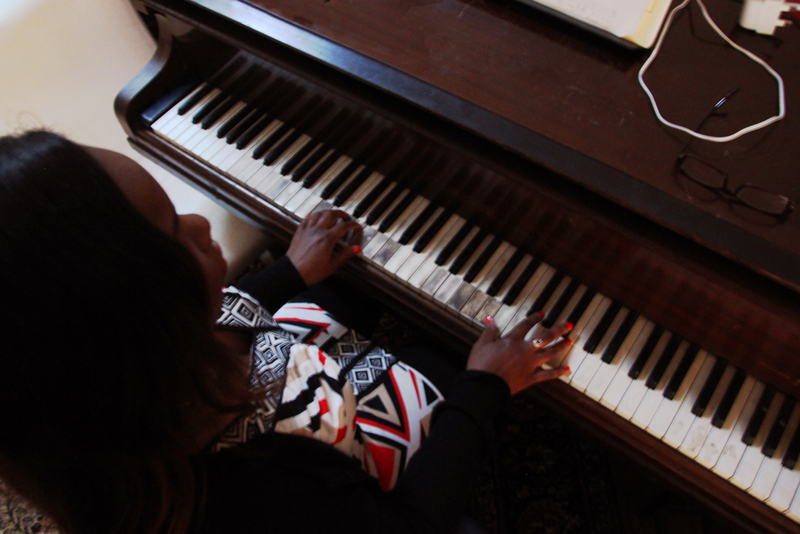 Lastly, we recorded some beautiful piano improvisations with Victoria Oruwari, who’s actually the group’s singer. She’s a professional soprano and choir director and her many awards include The Paul Simm Opera Prizeand The Newman Thomas Commonwealth Award – she’s even performed at Kensington Palace in front of HRH the Duchess of Gloucester! With MASSIVE thanks to Linda Shanovitch and the whole orchestra team!